But for the G-rated crowd, these were a hit. Drink up, kiddos! 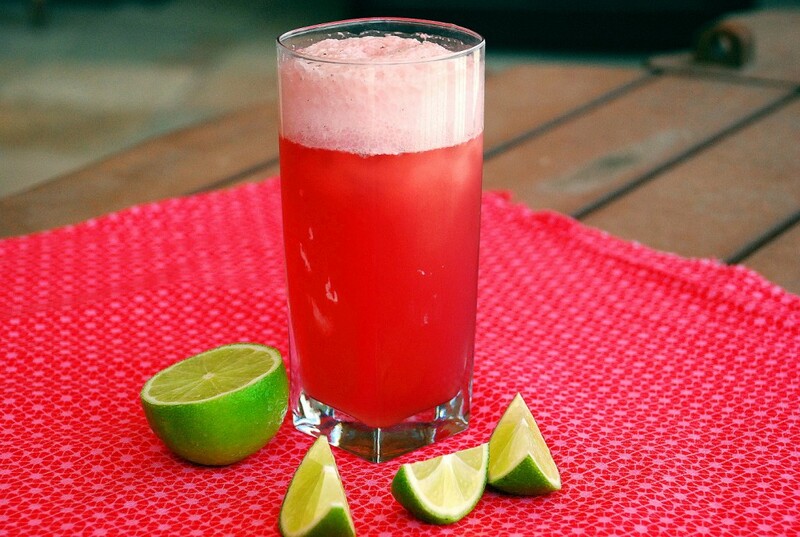 In a tall drinking glass, pour 1/2 cup of limeade. Top with a scoop of ice cream and slowly pour the sparkling cranberry into the glass (if you go really slowly it will form a pretty colored layer in the glass, but sometimes I'm too impatient -- like in the one pictured.) Repeat for other glasses.